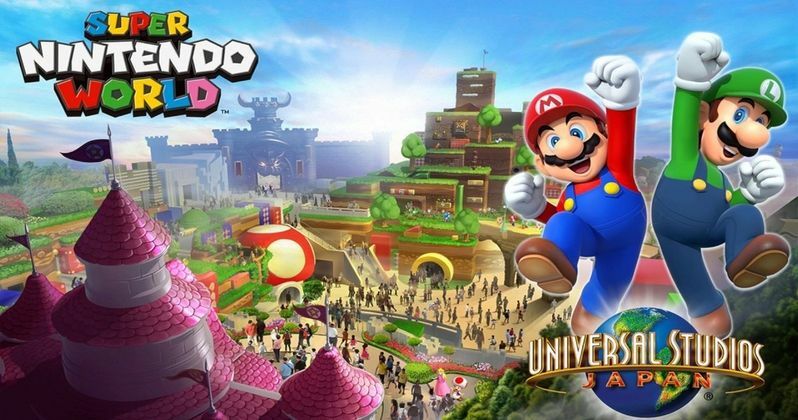 Super Nintendo World will be comprised of expansive and multilevel environments filled with unprecedented, state-of-the-art rides, interactive areas, shops and restaurants, all featuring Nintendo's most popular characters and games. Development cost at Universal Studios Japan is currently expected to exceed 50 billion Yen. Super Nintendo World will be developed mainly using the park's current parking area and part of an area designated for future expansion. Katsuhiro Miyamoto, Professor Emeritus of Kansai University estimates that Universal Studios Japan - after opening Super Nintendo World - will bring economic benefits following its opening of approximately 6.2 trillion Yen for the Kansai region, 11.7 trillion Yen for Japan as a whole, and will create approximately 1.1 million jobs in Japan within a decade after opening. Universal Studios Japan will introduce the wonder of the world-class, Japan-based entertainment brand of Nintendo not only to Japan but to the world. Super Nintendo World will feature characters and themes from the Super Mario series, which has continued over the years to win the hearts of devoted fans around the world. Bring You the Best of the World - as a theme park where its guests can have the world's best experiences and create the world's best memories, Universal Studios Japan offers the world-class entertainment such as authentic attractions and shows, based on not only Hollywood blockbusters but also very popular world class entertainment brands, and a variety of seasonal events entertain its guests to the fullest fun. In recent years, Universal Studios Japan has constantly introduced world class entertainment such as The Wizarding World of Harry Potter, Universal Wonderland area where family guests enjoy meeting with popular characters, and World Best Flying Coaster, The Flying Dinosaur, which was opened in the popular Jurassic Park area to celebrate the 15th Anniversary, and the world largest Minion Park which will be scheduled to open in early 2017. Universal Studios Japan has been gathering attention of both domestic and international guests. These efforts resulted in positioning of the Park as a prominent entertainment and leisure landmark drawing many guests from distant areas in Japan as well as overseas. Take a look at the new concept art from Super Nintendo World, coming to Universal Studios Japan in 2020.